In this study, Zircaloy-4 rods are heat treated and cold rolled to different (15%, 30%, 45%, 60%, and 75%) reduction ratios to determine the effect of heat treatment and cold rolling on micro and nano scale mechanical properties of Zircaloy-4. Micro scale mechanical properties are investigated by micro Vickers hardness tester and nano scale mechanical properties are studied by universal mechanical tester (UMT). Fracture surfaces of samples are illustrated by scanning electron microscope (SEM). Microstructure of samples are evaluated by optical microscope. It is found that hardness increased with increasing cold rolling reduction ratio both in micro and nano scale. Nano scale measurements showed that the elastic modulus is increased with increasing reduction ratio. Increase in hardness and elastic modulus altered the fracture from ductile to brittle. Fracture mode for samples are determined as mixed mode. S. Glasstone and A. Sesonske, Nuclear Reactor Engineering – Reactor Systems, 4nd ed. Vol.2, Dordrecht, Holland: Springer-Science+Business Media, 1994. D. Fuloria, N. Kumar, S. Goel, R. Jayaganthan, S. Jha, D. Srivastava, “Tensile Properties and Microstructural Evolution of Zircaloy-4 Processed Through Rolling at Different Temperatures,” Materials and Design, vol. 103, pp. 40-51, 2016. Y. S. Lim, H. G. Kim, Y. H. Jeong, “Experimental Evolution of the Rolling Reduction and Heat-treatment Effects on the Texture and Creep Behavior of a Zircaloy-4 Sheet,” Materials Transactions, vol. 49(8), pp. 1922-1925, 2008. V. Busser, M. C. B. Dubourg, J. Desquines, C. Duriez, J. P. Mardon, “Mechanical Response of Oxidized Zircaloy-4 Cladding Material Submitted to a Ring Compression Test,” Journal of Nuclear Materials, vol. 384, pp. 87-95, 2009. J. S. Yoo, I. S. Kim, “Texture Transformations and Its Role on the Yield Strength of (α+β) Heat Treated Zircaloy-4,” Journal of the Korean Nuclear Society, vol. 24(1), pp. 75-85, 1992. X. Fischer, A. Daidie, B. Eynard, M. Paredes, Research in Interactive Design Vol. 4: Mechanics, Design Engineering and Advanced Manufacturing, Switzerland: Springer International Publishing, 2016. F. Yılmaz, “Farklı Yöntemlerle Üretilen AB5 Tipi Hidrojen Depolayan Alaşımların Karakterizasyonu,” Ph.D. Thesis, Gaziosmanpaşa University, Graduate School of Natural and Applied Sciences, Tokat-Turkey, 2014. F. Yılmaz, “Nanokristal Al-Si-Sb Alaşımlarının Enerji Yaklaşımı ile Mikromekanik Karakterizasyonu,” M.Sc. Thesis, Gaziosmanpaşa University, Graduate School of Natural and Applied Sciences, Tokat-Turkey, 2008. P. Trivedi, A. K. Patel, R. Maurya, R. Jayaganthan, K. Balani, “Nanomechanical Characterization and Protein Adsorption of Cold-Rolled Zirconium Alloy,” The Minerals, Metals & Materials Society, vol. 67(4), pp. 726-732, 2015. M. Ito, H. Muta, D. Setoyama, M. Uno, S. Yamanaka, “Nanoindentation Studies of High-temperature Oxidized Zircaloy-4 with and without Hydrogen,” Journal of Alloys and Compounds, vol. 446-447, pp. 639-642, 2007. A. H. De Menibus, Q. Auzoux, O. Dieye, P. Berger, S. Bosonnet, E. Foy, V. Macdonald, J. Besson, J. Crepin, “Formation and Characterization of Hydride Blisters in Zircaloy-4 Cladding Tubes,” Journal of Nuclear Materials, vol. 449, pp. 132-147, 2014. G. E. Totten, K. Funatani, L. Xie, Handbook of Metallurgical Process Design, New York: Marcel Dekker Inc., 2004. W. D. Callister, D. G. Rethwisch, Materials Science and Engineering, SI Version (8th Ed. ), New York: John Wiley & Sons Inc., 2011. ISNAD Ağca, Semih , Çankaya, Güven . "The Effect of Cold Rolling on Mechanical Properties of Zircaloy-4". 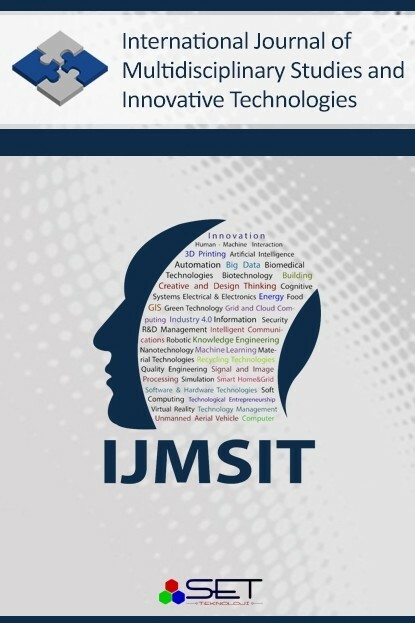 International Journal of Multidisciplinary Studies and Innovative Technologies 1 / 1 (November 2017): 29-35.